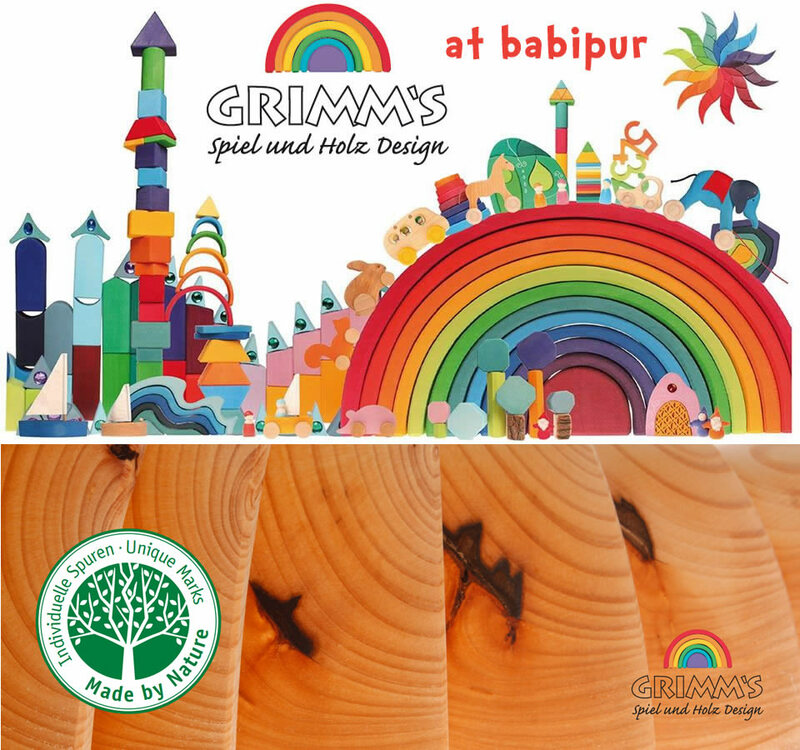 The family favourite Grimm's rainbow shape tunnel in natural wood finish. 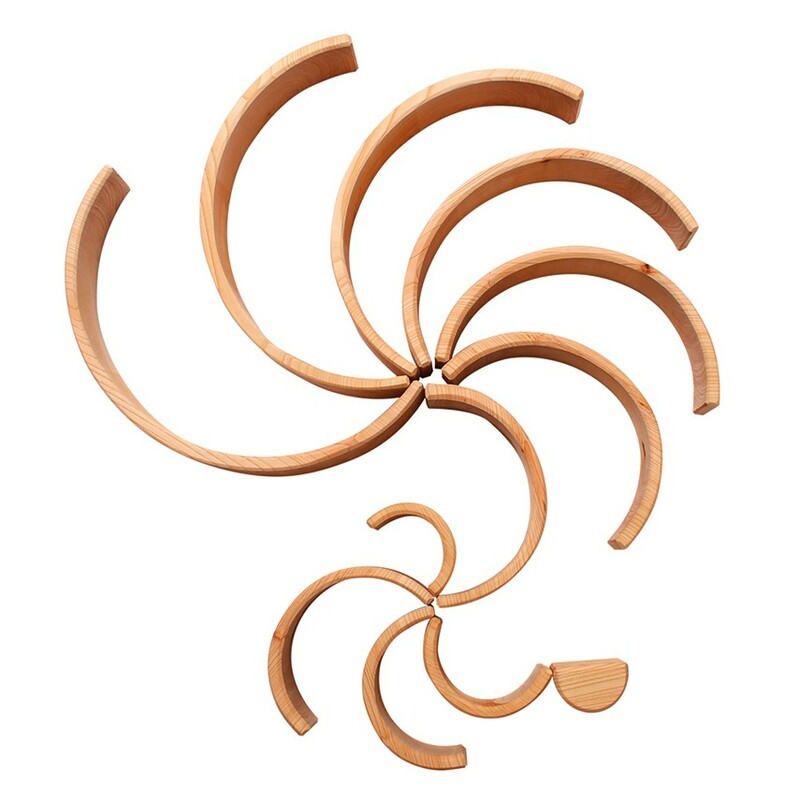 12 wooden pieces that fit within each other to make a rainbow curve. 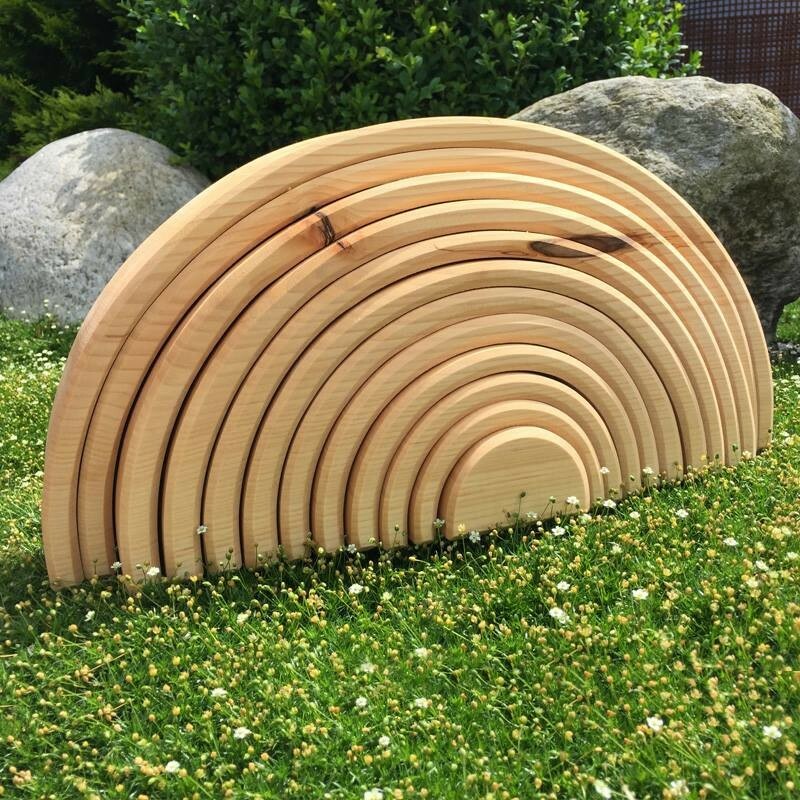 Stack & build, make patterns, make a concertina tunnel or make whatever your imagination can conjure. 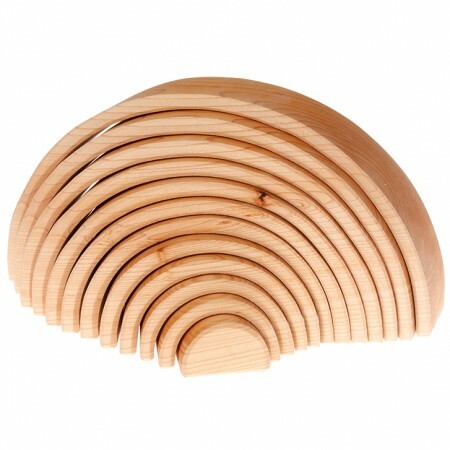 Beautiful natural grain of the lime wood stands out and increases the feeling of connection to the natural world. 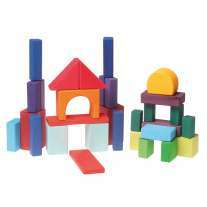 Combine with colourful semi circles or other blocks and toys nto create all sorts of amazing shapes and structures. 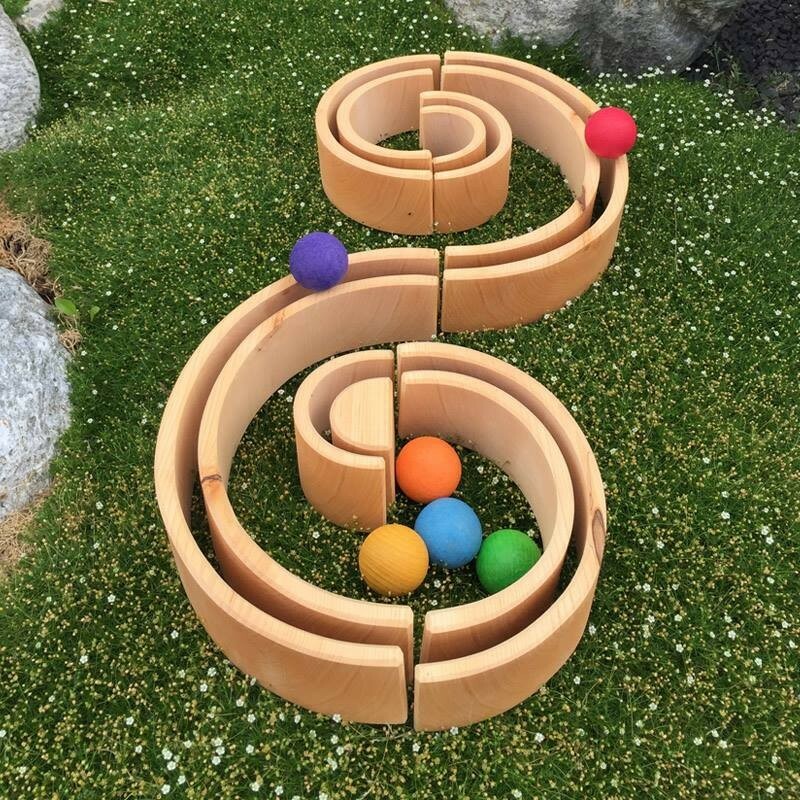 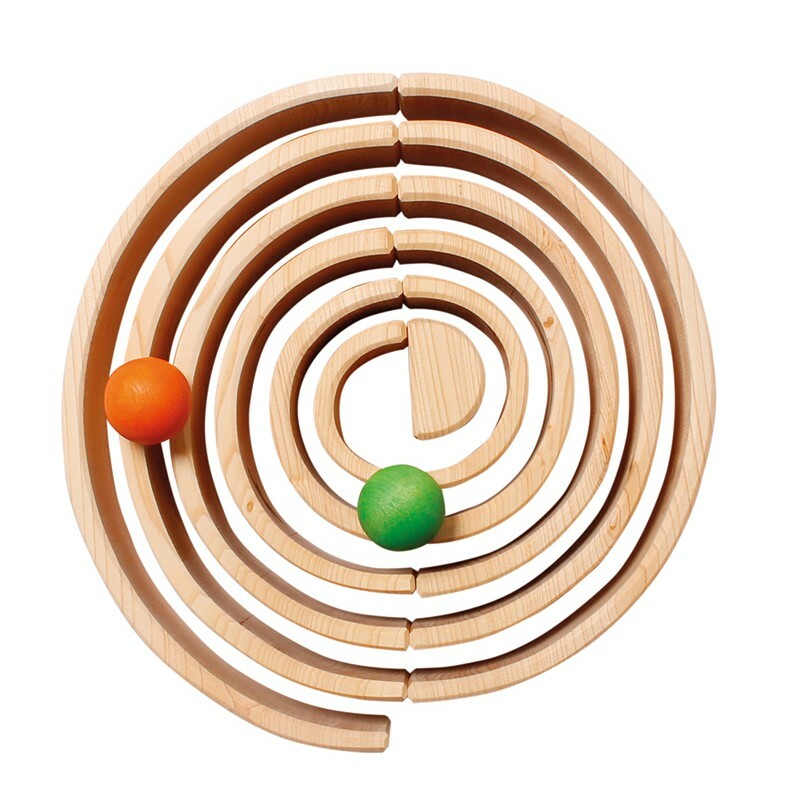 Lay the pieces on their side to make patterns or even a marble run. 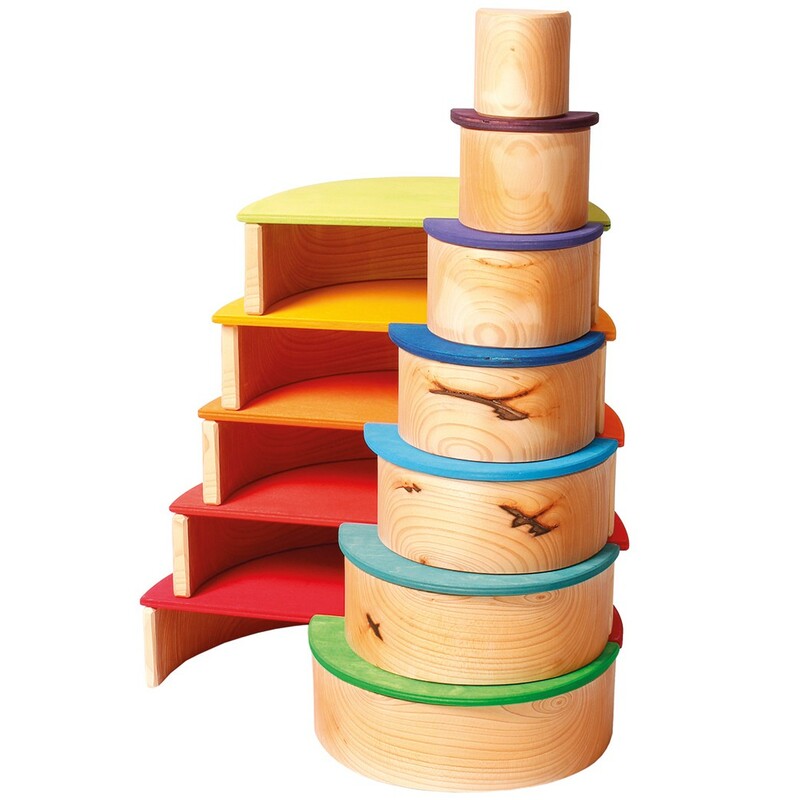 The rainbow set measures 38 x 18cm and is suitable from 12 months.